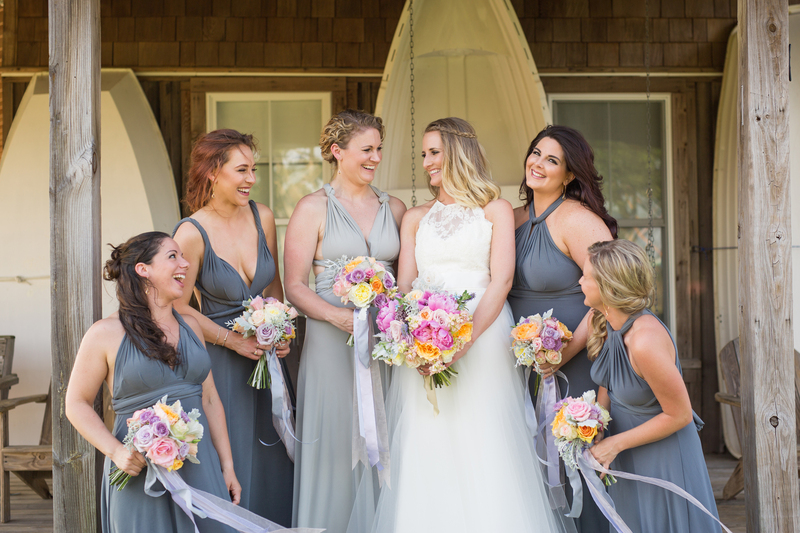 I LOVE when brides aren’t afraid to use color and this wedding 108 Budleigh wedding in Manteo, NC is a great example of how why! The inspiration for this wedding color pallette was “Necco Wafers” – so FUN and perfectly pulled off by Bells & & Whistles. The combo of blush sequins with bright flowers (including the most gorgeous magenta peonies!) and mix & match vintage pieces were a great choice and kept all the tables unique! Another favorite touch? For the place settings, we used mismatched vintage china from Bells & Whistles! The cocktail hour area was both whimsical and romantic with bistro lights, a vintage door backdrop for the Polaroid photo station (the guest book!) and Camp Cocktail‘s adorable trailer providing the drinks! It was the perfect little setup in Downtown Manteo, NC, Club Violin offered their talents for the waterfront wedding ceremony through cocktail hour and then Outer Banks Music Masters provided the soundtrack for the rest of the wedding reception. 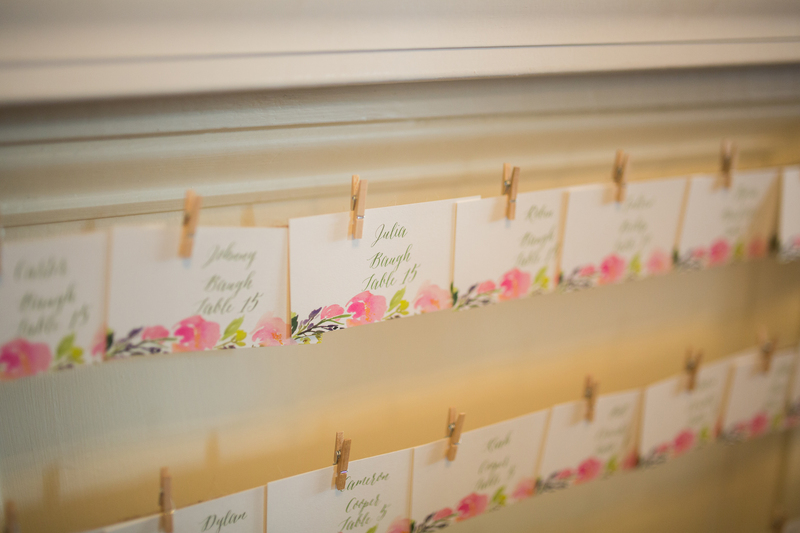 You know I’m a huge fan of the little details – especially stationery suites – so the floral name cards & table numbers by HLR Designs were the perfect little touch to add to the design. 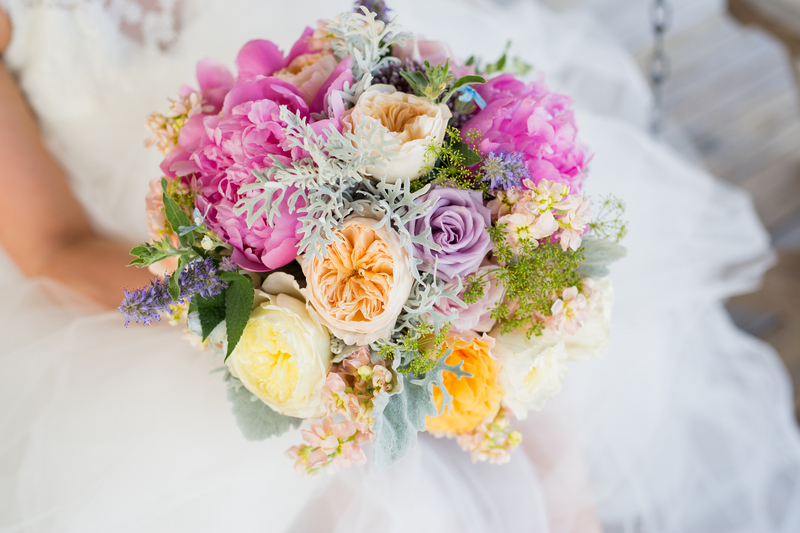 Oh and the absolutely STUNNING photos of this fun, cheerful wedding and sweet couple? 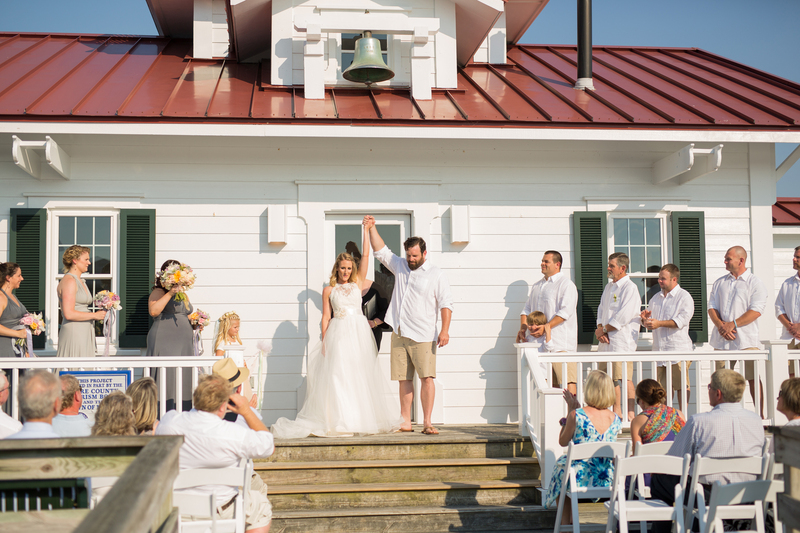 By the amazing Ryan & Rach Photography 🙂 For even more photos of this gorgeous Outer Banks wedding day, check out the R&R blog here!